The Project’s third Pilot Survey* took place in Brockbridge, Droxford, at private property immediately adjacent to the site of an early Anglo-Saxon cemetery. 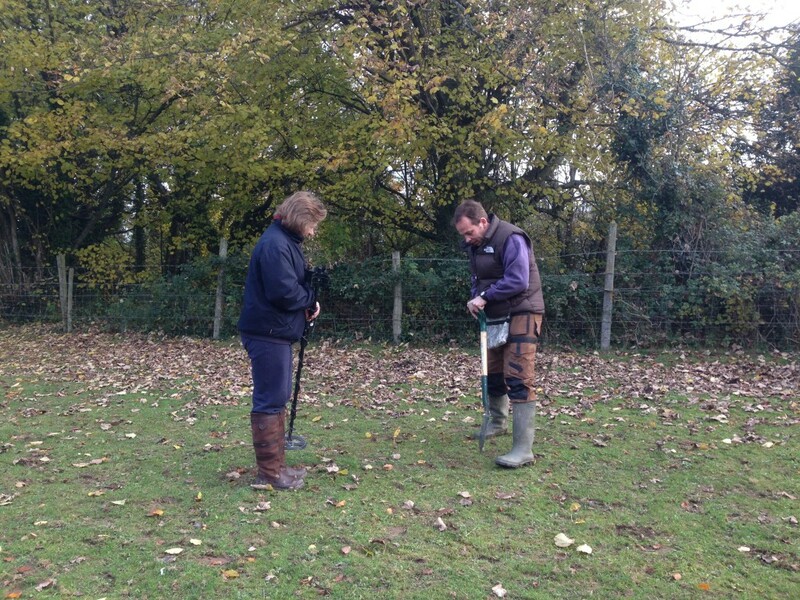 We are indebted to the owners of the property for permission to carry out survey work in their garden and paddocks. Strictly speaking the cemetery lies within Soberton, but its proximity to the former railway station of Droxford has resulted in an association with the parish of Droxford. The cemetery first came to light in 1900 when a cutting was being excavated for the Alton to Fareham railway. Word spread that bones and iron objects had been disturbed. William Dale, a local antiquary, visited the site and collected a number of artefacts; the objects were identified as early Anglo-Saxon by a specialist at the British Museum (Aldsworth 1979, 93-94). Very little evidence was recorded about the cemetery, although numerous objects found their way to the British Museum and Winchester City Museum and the quantity of finds suggests that the cutting went through a densely packed part of cemetery, probably its centre. The cemetery was rediscovered in 1973 when an inspection of the chalk face on one side of the railway cutting revealed several graves. An assessment demonstrated that the graves in this area were being threatened by erosion and an excavation took place to rescue the evidence before it was lost (ibid., 99). In total, 41 graves were excavated: almost all the graves were orientated west-east (head at west end) with most of the bodies having been laid out on their back; the majority of burials produced grave goods, such as weapons and jewellery. The burial rites are typical of early Anglo-Saxon funerary practice. The excavation demonstrated that the cemetery continued to the east of the railway cutting, but it is thought that it also extended into the area to the west, i.e. 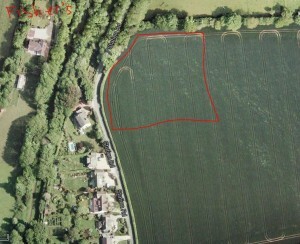 a strip of land running along the valley’s edge, opposite to the aforementioned excavation and occupied by the private property. This notion was based on the fact that early Anglo-Saxon cemeteries were generally located close to ridges in order to be visible to the people living in the settlement in the valley below, plus a previous visit to this area had produced two fragments of human skull. A community project was planned to investigate this question and metal detecting was the technique of choice with the aim of recovering metal artefacts that had either been disturbed from graves in the area or had been redeposited along with spoil from the railway cutting. The latter seems improbable however as local historian Gordon Hope has argued that the material excavated from the cutting would probably have been taken away and used for the embankments, as happened elsewhere (see Stone 1983, 7). As in previous surveys [link to Corhampton and Shavards Farm], the fieldwork was also used as an opportunity to introduce and train local volunteers in the technique and we were pleased to welcome a number of volunteers from Droxford. Project members, Mike and John, led the metal detecting on the Friday, while on Saturday John was joined by Richard Burdett. Following a brief introduction to the cemetery and its background the volunteers divided into groups. Full instructions in metal detecting were provided, e.g. interpreting the different signals that metal objects produce and how to locate objects effectively by adopting a systematic and rigorous approach. During the course of the two days the gardens surrounding the house and the paddocks to its south were targeted but unfortunately very little Anglo-Saxon evidence was recovered. 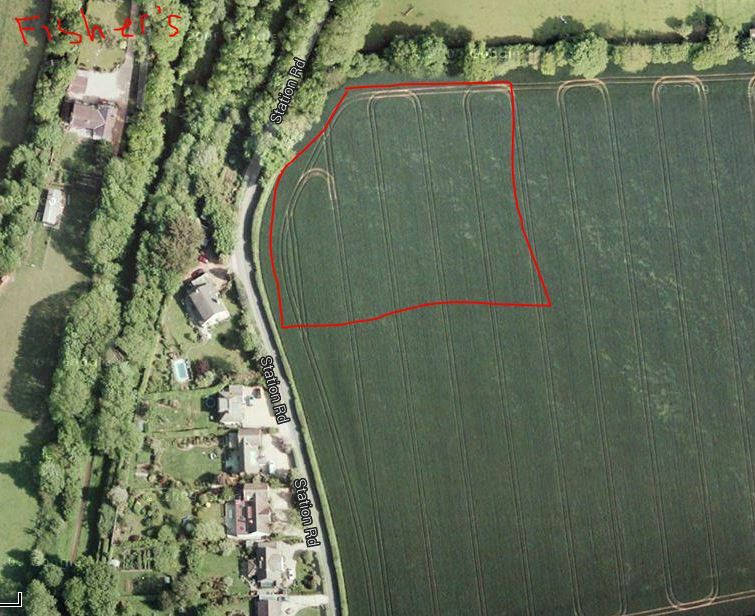 It was very difficult to detect in the garden and the paddock immediately to the south of the house because of the large amount of modern material that was scattered throughout the area and which probably came from the two railway cottages which had previously occupied the site. This was less of a problem in the paddocks to the south but by now we were detecting in areas that were outside the extent of the cemetery. A second phase of fieldwork will take place in the New Year when geophysics will be used in an attempt to identify grave cuts. Aldsworth, F R 1979 The Droxford Anglo-Saxon cemetery, Soberton, Hampshire, Proc Hampshire Fld Club Archaeol Soc 35 93-182. Stone, R A 1983 The Meon Valley Railway, Kingfisher Railway Productions, Guildford. *The Pilot Surveys are an opportunity for the experts to refine their approaches, not only in how we implement and carry out surveys but also how we deliver training to volunteers.